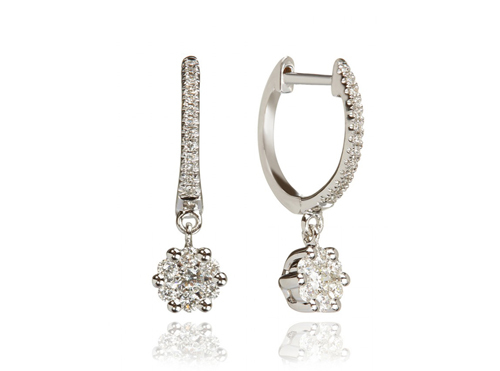 Timeless and classic, these Daisy hoops from Annoushka will be wearable from season to season. Available here. 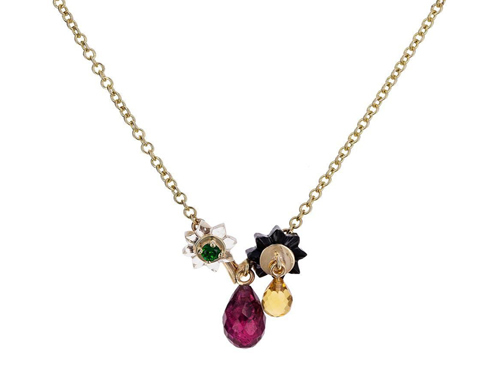 With deep tones from black jade, citrine and green and pink tourmaline, this dainty necklace from Alice Cicolini will carry you through the autumn. Available here. 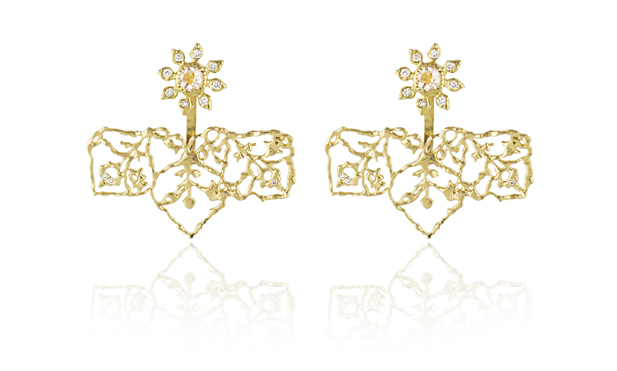 Natalie Perry’s beautifully delicate ear jackets made from ethically sourced 18ct Fairtrade Gold, depict wilting flowers within its intricate patterns, a perfect transitional piece if ever there was one! Available here. 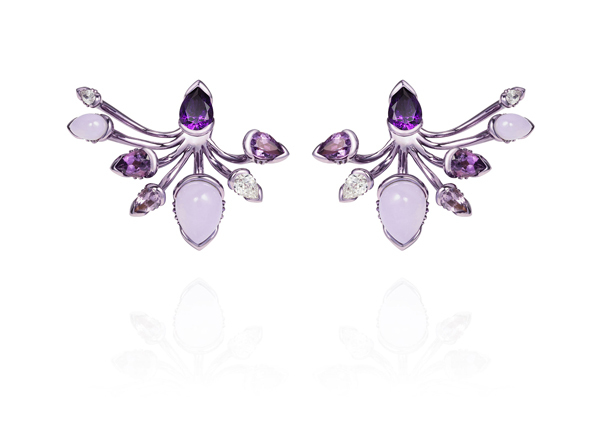 Fernando Jorge’s Calyx ear jackets from the Bloom collection come in a range of gemstones to suit any style. We love this icy, lilac toned 18ct gold pair with amethysts, diamonds and chalcedonies the most! 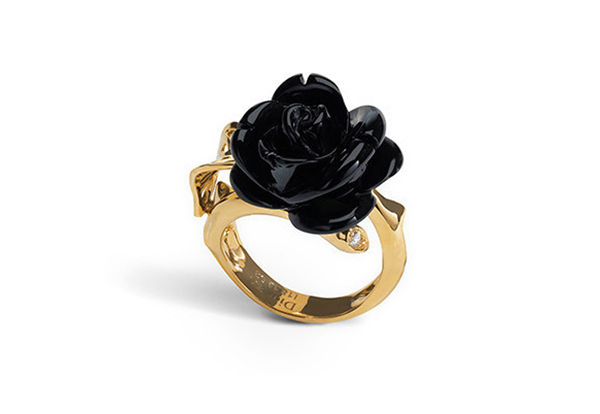 Dior’s Rose Catelan Ring in rich black onyx and gold defines autumn and winter florals perfectly. Available here. 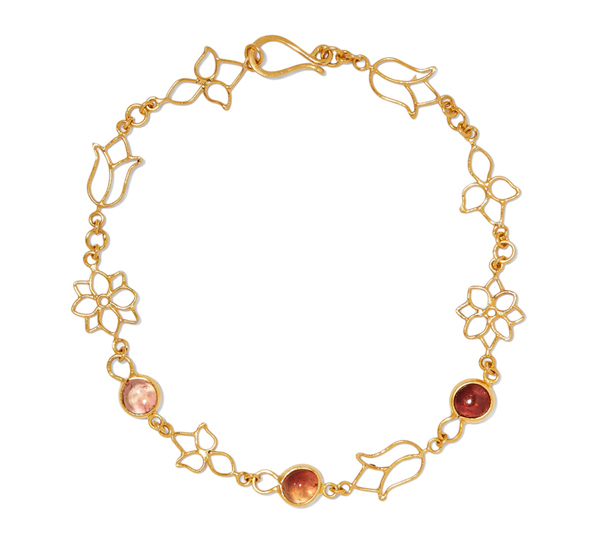 Pippa Small’s elegant floral bracelet pairs filigree lotus buds and autumnal tourmalines! What’s not to love? Available here.